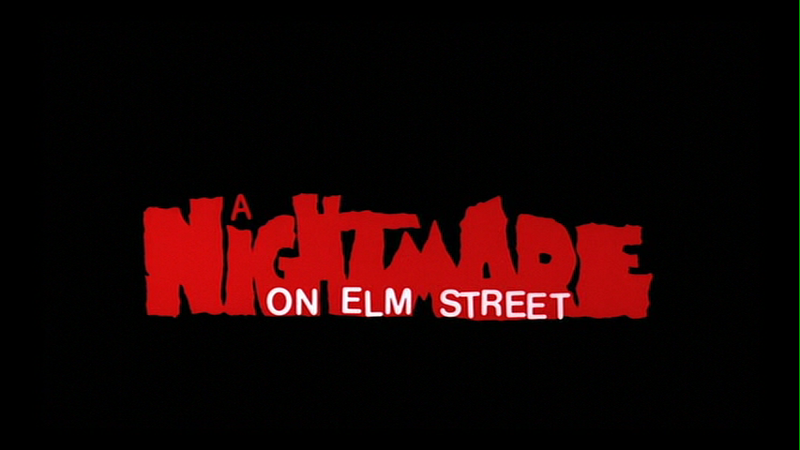 A Nightmare on Elm Street opens appropriately enough with a nightmare. Tina dreams she is stuck in some wonky, steam-filled boiler room while Freddy Krueger is stalking her. Of course, Tina has no idea who Krueger is, or what he’s doing, just that he’s terrifying and got sharp nasty razors on his fingers. Fun dream! She screams herself awake and her mother busts through the door, checking dutifully on Tina before admonishing her to cut her nails because she could seriously hurt herself. Tina looks down to four slash marks cut through her nightgown in horror. Unsettled, Tina puts on her best pink bandanna and heads to school. If you’re going to be terrified of the boogeyman, you’d better do it in style, yo. Tina meets up with Glen and Nancy, her two friends, and briefly discusses the creepy nightmare and that burned-up dude in the sweater and fedora. They both kind of laugh it off and go into school. Losers. Later that night, Tina has a little slumber party over at her house where she invites Glen and Nancy and we are introduced to her jerk and a half boyfriend, Rod. You can tell just by his name what a complete tool he is, and he shows up in true jerkface style, scaring the hell out of everyone by scraping a yard implement across a metal shed, reminding Tina of that nightmare.